On behalf of Emperors Antique, I’d like to say a quick thank you for your continuous support. To our Christian readers, may you have a blessed Christmas with your family and friends. And to the rest of our readers, happy holidays and Happy New Year! May 2016 be a bigger, better and grander year for us all! See you in January 2016! 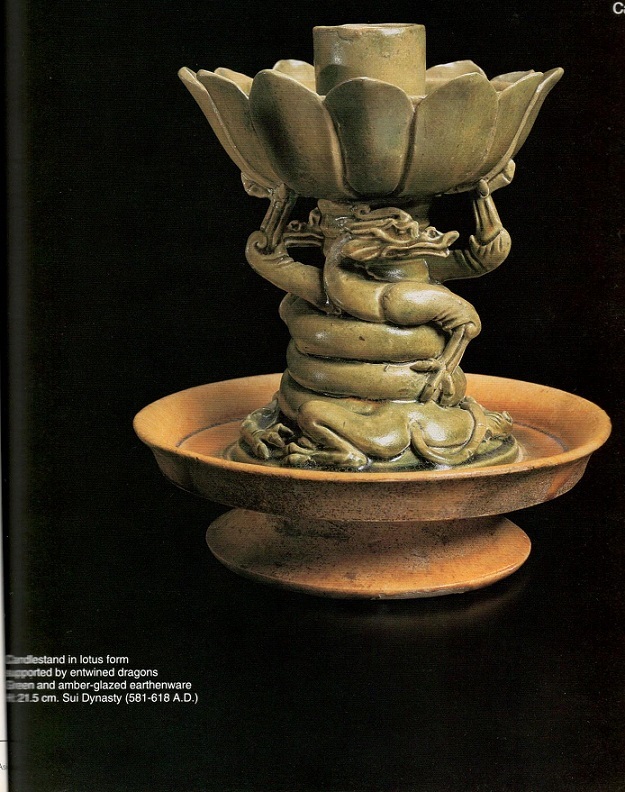 A candlestick in lotus form supported by entwined dragons. 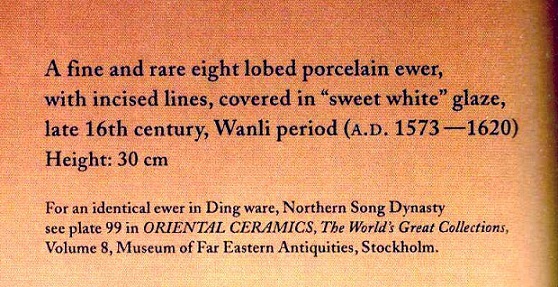 Green and amber-glazed earthenware. Who was The Emperor Who Started a War to Amuse his Beloved? 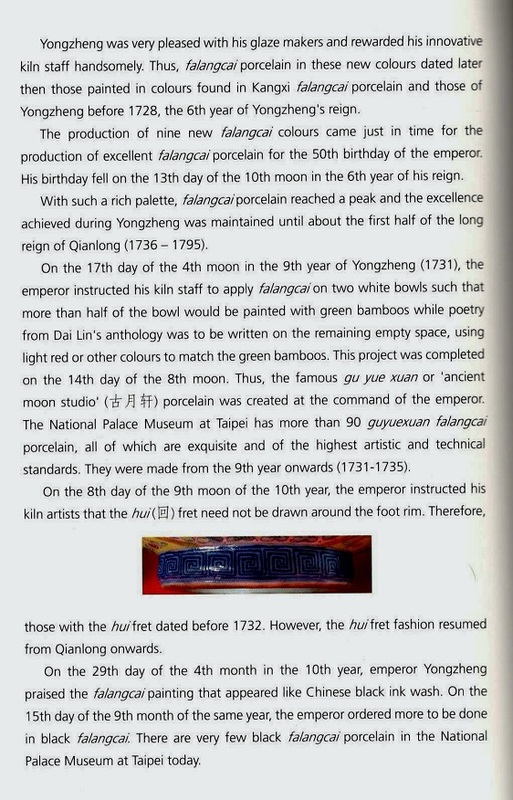 He was the last emperor of the Later Yan Dynasty (384-407), founded by Murong Chui. He was so obsessed with his empress that there was nothing he would not do for her even though it caused hardship to the people. To show his love for his beloved late wife, he removed her clothes, embraced her and made love to her corpse. Besides ordering ministers to cry and show their grief over the death of the empress, he also ordered all senior and junior officials as well as the locals to take part in the construction of her mausoleum, which was built deep underground and covered several square kilometers. 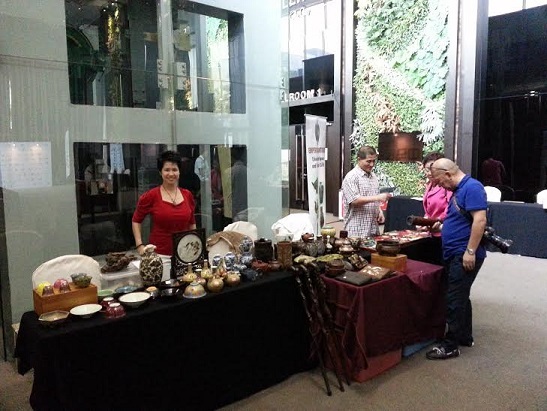 We'll be at LG floor on Saturdays and 1st floor on Sundays. For further inquiries, please contact May at 018 3867939. The journey as an entrepreneur is never an easy one. Risks, challenges and uncertainties are just part and parcel of this journey. However, I've chosen to embrace them and make them my companions, and I'm amazed at how much I've accomplished to date. I'm extremely thrilled to announce that I've just been invited for a panel discussion titled 'China's Collectors: Boundless Ambitions?' at Christie's Hong Kong, which will be taking place prior to their auction preview! While I will not be able to attend this panel discussion, I'm honoured all the same that my presence has been acknowledged and welcomed by such a prestigious organization. Needless to say, it has motivated me to forge ahead and challenge myself even more! BILLIONAIRE Alan Chuang’s hilltop residence on Victoria Peak is impeccably decorated with flowers, antique Chinese furniture made of prized huanghualihardwood, exquisite chandeliers from France, and windows offering breathtaking views of Hong Kong. But the really extraordinary feature of his HK$2bil (US$260mil) mansion lies behind a nondescript door in the basement: a small part of his collection of some 300 rare and ancient porcelain pieces, which he’s showing for the first time to a journalist. For the 67-year-old chairman of investment holding company Chuang’s Consortium International, the cream-coloured basement room is a warmly lit sanctuary he shares with a few friends such as Fidelity Investments chairman Edward C. “Ned” Johnson III. 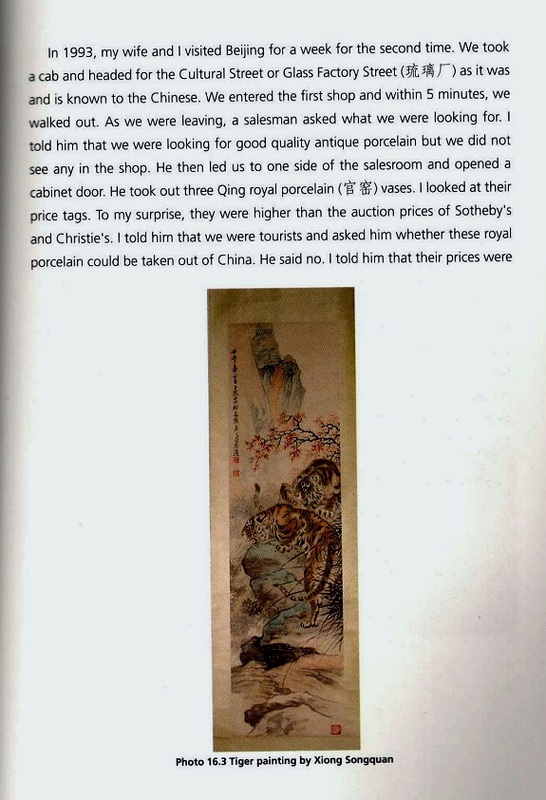 Chuang says Johnson once came here to take a look at an antique chair in Chuang’s collection of Chinese furniture. Johnson, who has a similar chair, wanted to see Chuang’s before sending his own off for repairs. 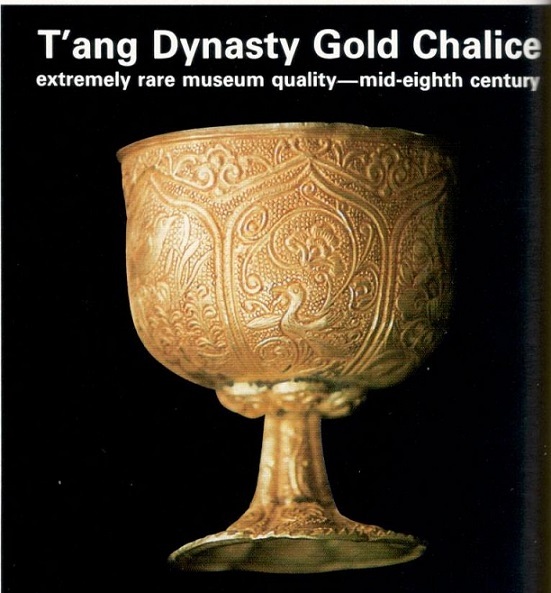 One piece in Chuang’s collection is a famous Ming-era porcelain cup that, because of its ornamentation, is known as a “chicken cup.” Only a few people are aware that Chuang owns one of the few Chenghua chicken cups that exist outside of museums. In April 2014, billionaire businessman Liu Yiqian paid a record US$36mil for a chicken cup, making international headlines. 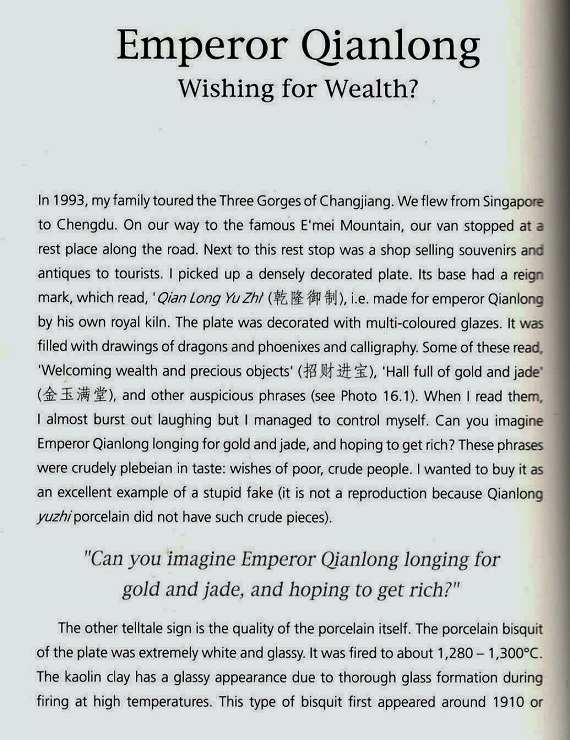 In his basement, the mustachioed Chuang can barely contain his enthusiasm for the stunning possessions displayed on antique tables and in a custom-made cabinet. As he admires a Guanyin (Goddess of Mercy), who was worshiped by Yuan dynasty emperors, he says, “She has brought a lot of good fortune.” He bought the piece, about the size of an infant, for about £2mil (US$3.1mil) from a London-based dealer in 2005. 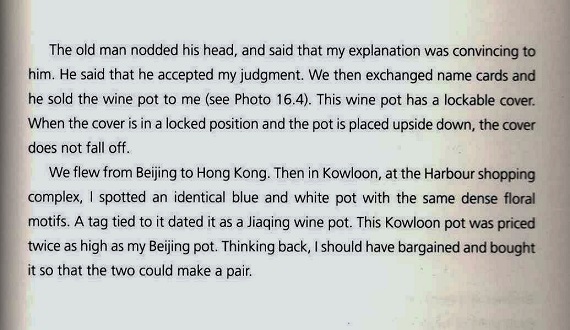 Chuang estimates the cost of his acquisitions at HK$2bil; he says experts now value his collection at HK$10bil to HK$20bil. 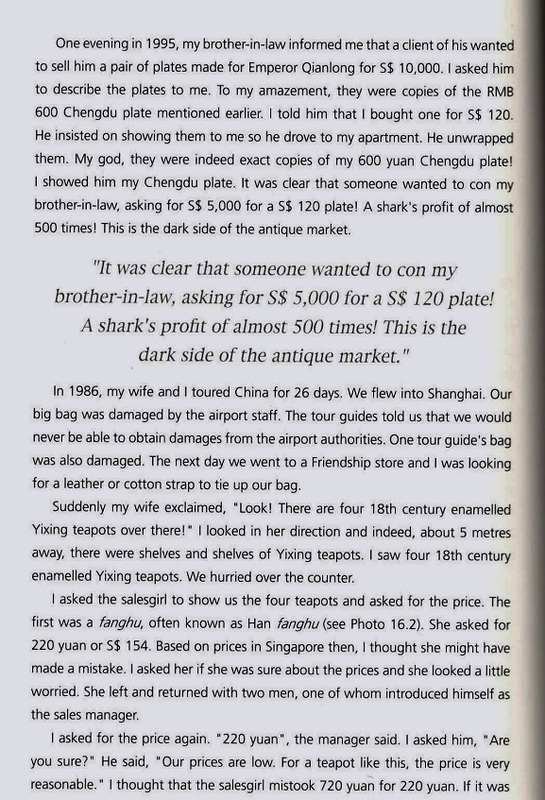 Chuang says only Hong Kong property has fared better over the four decades he has been collecting. 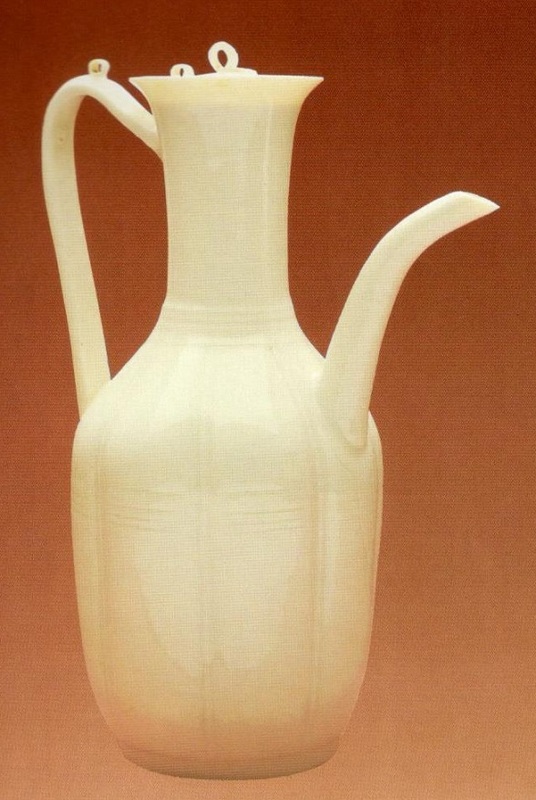 In 1975, when he started collecting Chinese ceramics at the age of 27, Chuang worked as a quality-control officer at his father’s manufacturing company, earning HK$750 a month and learning the business from the ground up. He took over the family firm in 1993 and successfully diversified it into an investment empire. 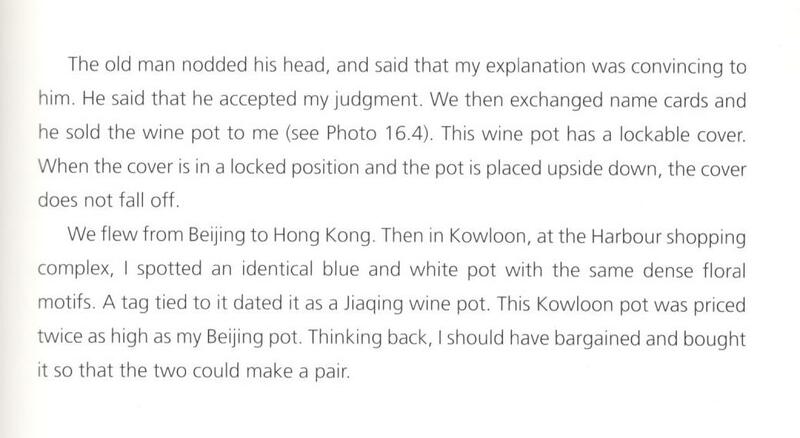 Now that his four grown children are working in the family business, Chuang travels the world (he has three yachts and a private jet), does some scuba diving and sailing, and, of course, builds his collection. 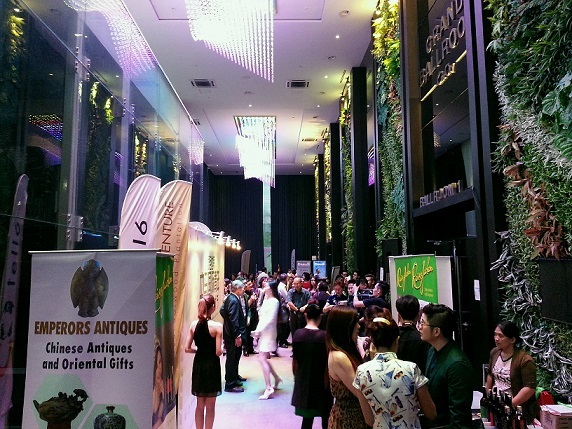 Join Us at Our Next Exhibition and Get a 20% Discount on Selected Items! Please go to http://www.emperorsantique.com/contact-us/ to view the map to our gallery. Please feel free to bring along your items for a FREE evaluation. When A. Alfred Taubman, the chairman of Sotheby’s, was convicted of leading a price-fixing scheme with Christie’s and sent to prison in 2002, the scandal rocked the elite auction world and reverberated throughout Manhattan. He left under a cloud. What a difference a few years (and $500 million worth of connoisseur art) make. Now, Sotheby’s is celebrating Mr. Taubman — who died in April at 91 — pulling out all the stops to promote the sale, beginning on Nov. 4, of his extensive art collection, from old masters like Raphael to 20th-century masterworks by Modigliani, Matisse, Picasso, Schiele and de Kooning. Sotheby’s marketing efforts include a custom-printed banner around its Upper East Side headquarters featuring images of artworks in the collection as part of the presale exhibition, which opens on Saturday. It has redesigned the 10th-floor exhibition space to evoke Mr. Taubman’s Bauhaus aesthetic. The glossy 400-page catalog, with essays by the cosmetics tycoon Leonard A. Lauder and the retail executive Leslie Wexner, and a biographical online video featuring Henry A. Kissinger, are reminders of how much is riding on the auction. Not only did Sotheby’s fight hard to win the sale away from its archrival Christie’s (finally succeeding after several months’ effort in September) but it fully guaranteed the sale for $500 million to the Taubman family. Sotheby’s declined to say whether it has been able to share some of that financial commitment with third-party guarantors. Sotheby’s hopes the sale, which includes more than 500 pieces spread across four dedicated auctions, ranks among the biggest, like Christie’s $477 million Yves St. Laurent sale in 2009, particularly since it has been losing ground to Christie’s in postwar and contemporary art. Moreover, the sale represents the first real test for Sotheby’s president and chief executive, Tad Smith, who took over in March (promising shareholders that he would make judicious use of guarantees to sellers). The stakes are also high for the Taubman family, which not only wants to make as much as possible (proceeds will go toward estate taxes and a private foundation), but to affirm its patriarch’s legacy as a respected collector. Some collectors and dealers say the collection has been overhyped, that Mr. Taubman often bought pieces at the low estimate that would not otherwise have sold — partly as a favor to Sotheby’s specialists who asked for his help. And others say Mr. Taubman chose well over his more than 60 years of amassing pieces by artists ranging from Dalí to Degas. Among the highlights are two Rothkos (each estimated at $20 million to $30 million), a de Kooning ($25 million to $35 million) and four Picassos (one of which is estimated at $25 million to $35 million). “There are plenty of pictures he fought for,” said Christopher Apostle, Sotheby’s director of old master paintings, citing as an example Jacopo Ligozzi’s “Abduction of the Sabine Women” (now estimated at $600,000 to $800,000), which Mr. Taubman bought in 1990 for $396,000 (above the high estimate). 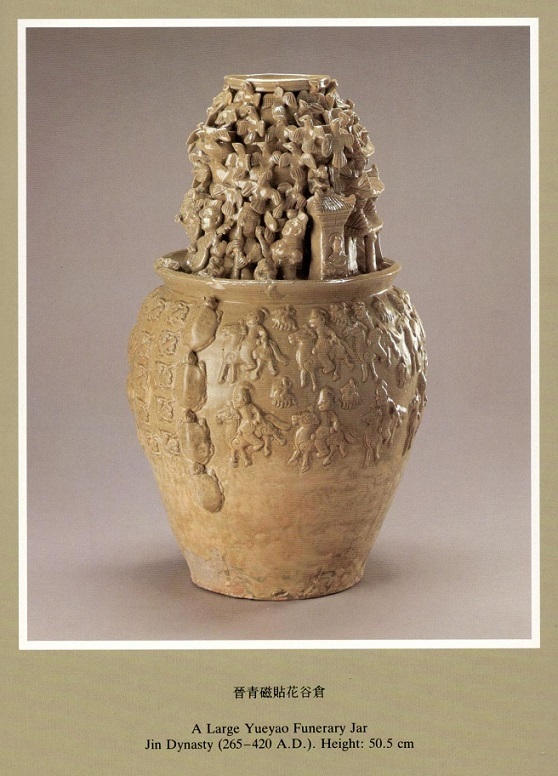 Most of these pieces have not been seen for years, having been in Mr. Taubman’s residences (in Bloomfield Hills, Mich.; Palm Beach, Fla.; Southampton, N.Y.; and New York City). 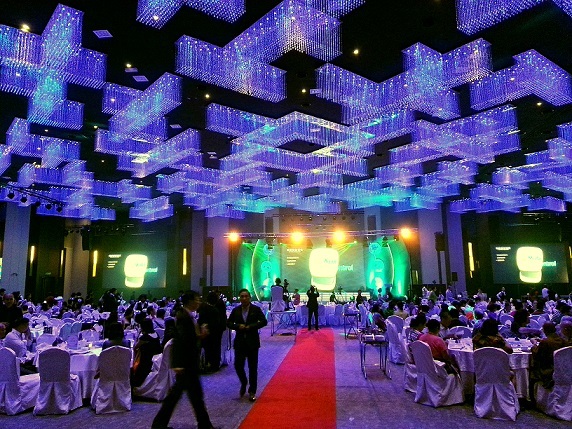 During his 22 years as Sotheby’s principal owner, Mr. Taubman, a shopping mall magnate, transformed the auction business from one directed at dealers and gallerists to one that directly targeted collectors. 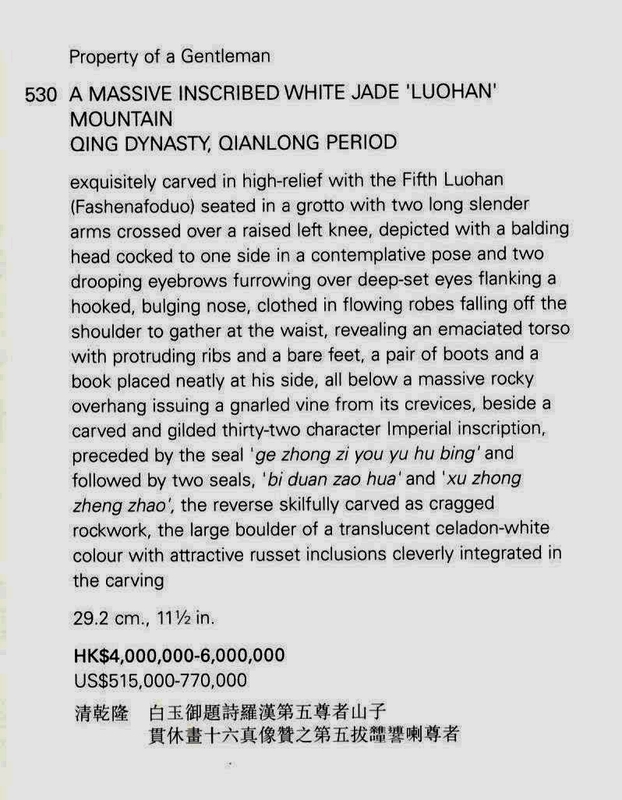 “More than any other single figure, he created today’s auction market,” Mr. Shaw said. What is Confucianism? It can be defined, like in a dictionary, as a philosophical system encompassing ideology, culture and academia, brought together by Kong Zi ‘Master Kong’, better known as Confucius, then followed and developed by successive generations of his disciples over the past 2,500 years. Confucianism centres on Confucius’s philosophies, but what is the core value of his philosophies? A book called Lv Shì Chūn Qīu, literally ‘Lv’s Annals’, written at the end of the Pre-Qin and Warring States period, abstracted the philosophies of each of the then leading thinkers into one word or one concept. 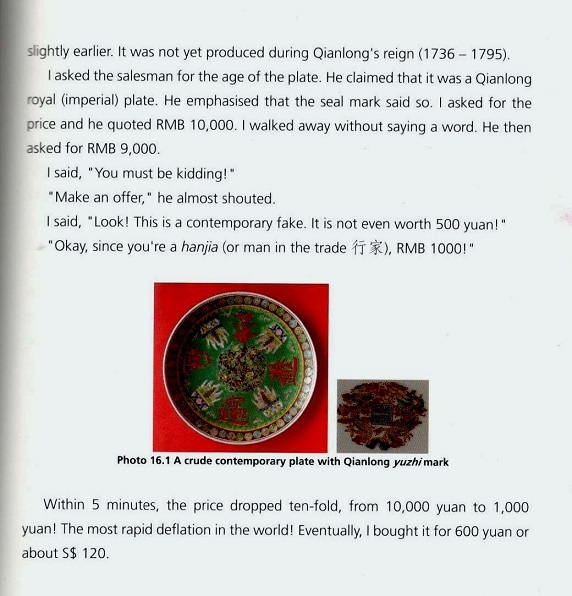 Lv summed up the philosophies of Confucius as “Kong Zi guì rén”, guì meaning ‘to value most or attach the greatest importance to’, and rén ‘humanity and benevolence’. 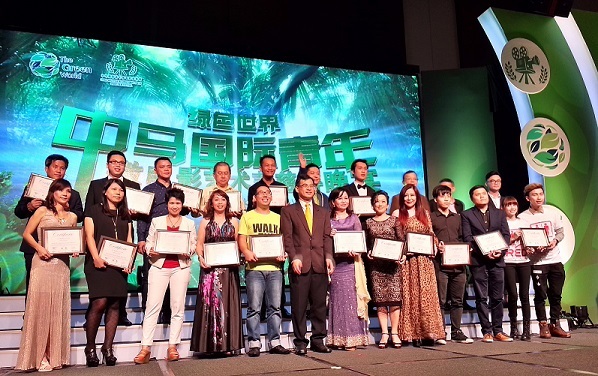 That is to say, rén was the core of Confucius’s philosophies, which was followed by his disciples for several generations before Meng Zi ‘Master Meng’ or Mencius came on stage. Mencius also valued rén, but added a second word yì ‘righteousness’ to rén. Later, rén and yì developed into the four virtues of rén, yì, li, and zhì, with li referring to ‘rites and etiquette’ and zhì ‘knowledge and wisdom’, which became the most fundamental core values of Confucianism. The three concepts rújiā, rúxué and rújiào have frequently appeared in modern times. The word rú originally refers to a teacher of arts. As Confucius was known to be the teacher and founder of the first private school in China, this word later was used to refer exclusively to Confucius and his school. The word jiā, which means ‘household, family’, is also used to refer to a school of thought, because teachers and students have been perceived to be in the same relationship as parents and children. So rú jiā became the name of the Confucian school or Confucianism. The word xué means ‘learning; scholarship’, so rúxué highlights the academic system of the Confucian school. 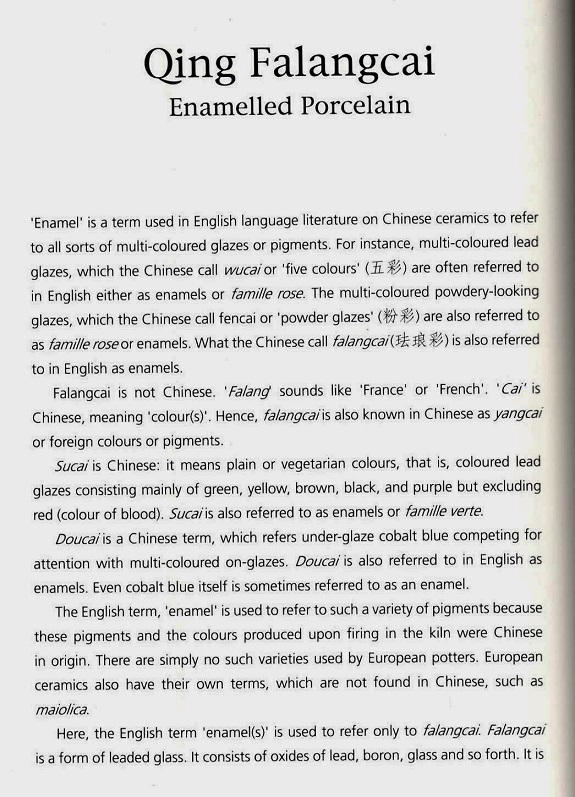 The word jiào means ‘teaching; didactic’. When it was used to refer to religious teaching or doctrine, it developed the sense ‘religion’, but rújiào has never been a religious concept in Chinese history as jiào here refers to a didactic function or system. Rújiào, Dàojiào ‘Daoism’, Fójiào ‘Buddhism’ all have the word jiào because they all have didactic functions and exist for educational purposes. So in ancient China the saying, sān jiào hé yī ‘three didactic systems into one’ did not mean ‘a combination of three religions’ (Confucianism, Daoism and Buddhism). Although the saying may have referred to their belief systems, it was in the main about their didactic functions. In our definitions we have highlighted Confucius, his establishment of the Confucian school and his philosophies at the core of Confucianism, but we have not touched on the relationship between Confucius and the Chinese civilization. In fact, Confucius’s philosophies are rooted in the Chinese civilization of the Archaic Period. The canon of Confucian texts started not from Confucius’s teachings but the Six Classics which predate Confucius and have always been regarded as the core of Confucianism. Confucianism, therefore, can trace its origins back to the cultures of the Xia, Shang and Zhou dynasties (or even earlier) spanning some 1,500 years. 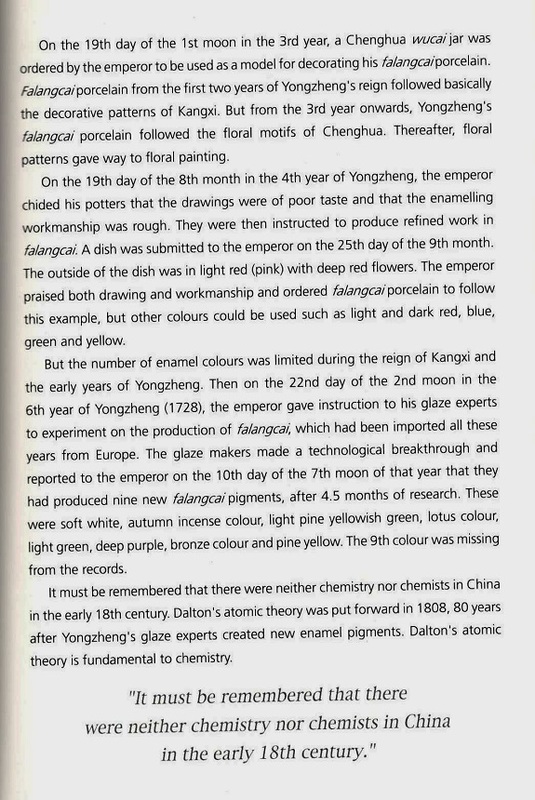 The Six Classics, namely Shi Jing ‘Book of Poetry’, Shang Shu ‘Book of Documents’, Yi Jing ‘Book of Changes’, Li Jing ‘Book of Rites’, Chunqiu Jing ‘Spring and Autumn Annals’ and Yue Jing ‘Book of Music’, were written well before Confucius was born. He collected and edited the Six Classics and in doing so, became well-informed about the political ideology, ethical values, aesthetic standards, etc. 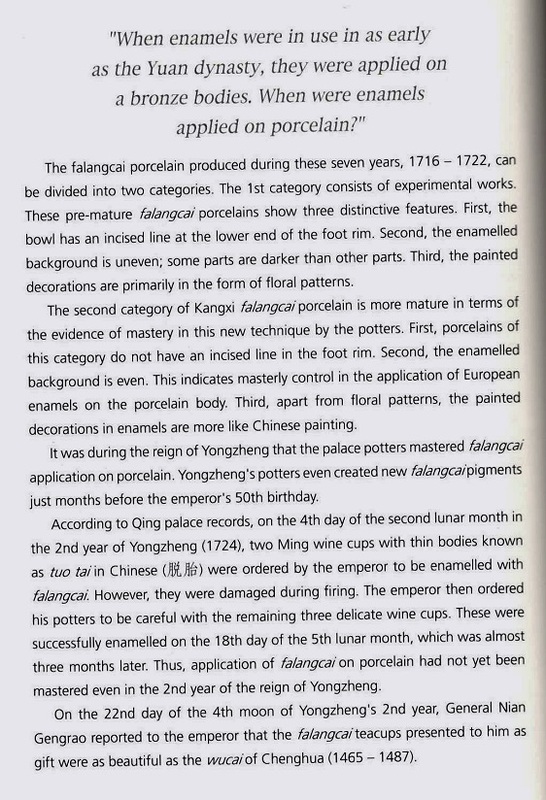 of the early periods of the Chinese civilization. 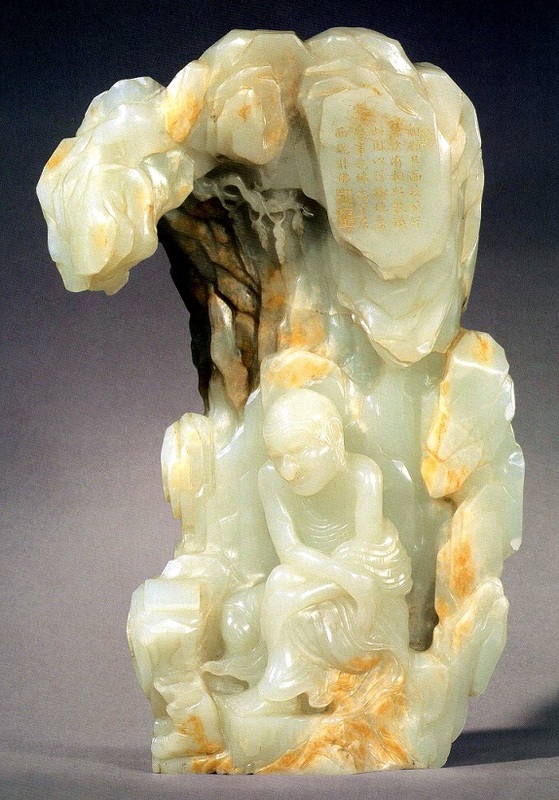 Preservation, transcendence and innovation are all embodied in his work – not just reiterating certain traditions but also adding the new concept of rén to the tradition of li and yuè. From the very beginning down to the Han Dynasty, the interpretation and preservation of the Six Classics was solely the work of Confucius and the Confucian school. Without the culture of li and yuè in Archaic China, Confucius’s philosophies would have been without foundation. 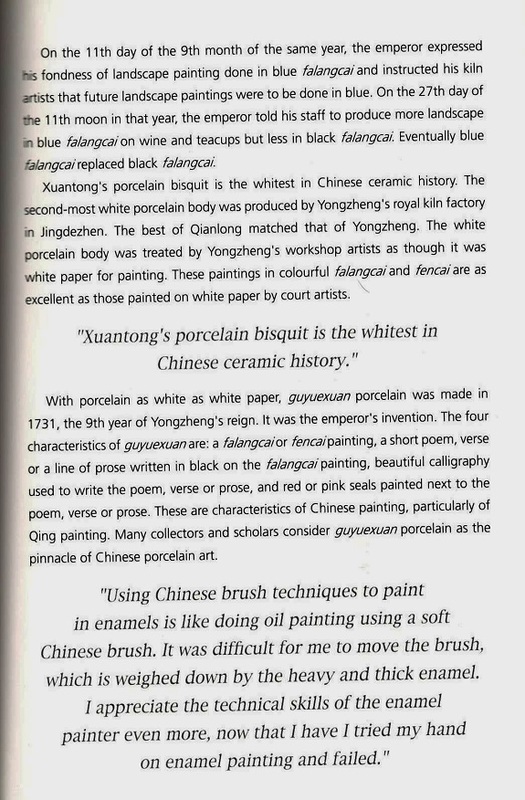 Equally, without Confucius and the Confucian school, the wisdoms recorded in the texts of the Archaic Period would not have survived through the generations and a part of Chinese history would certainly have been lost to history. 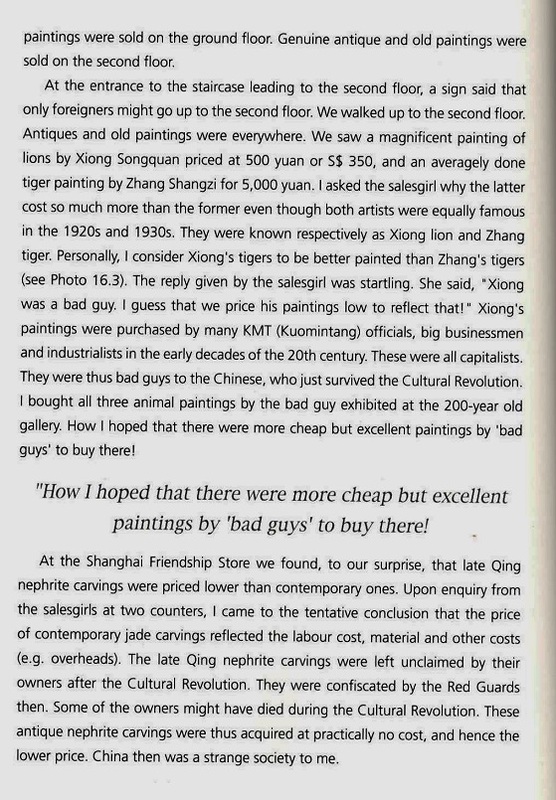 That was a great feat by Confucius and his followers, who had early on taken it upon themselves to preserve China’s cultural tradition. The Chinese civilization is the most continuous in the world and this continuity is the result of the Confucian school’s conscious mission to protect Chinese culture. 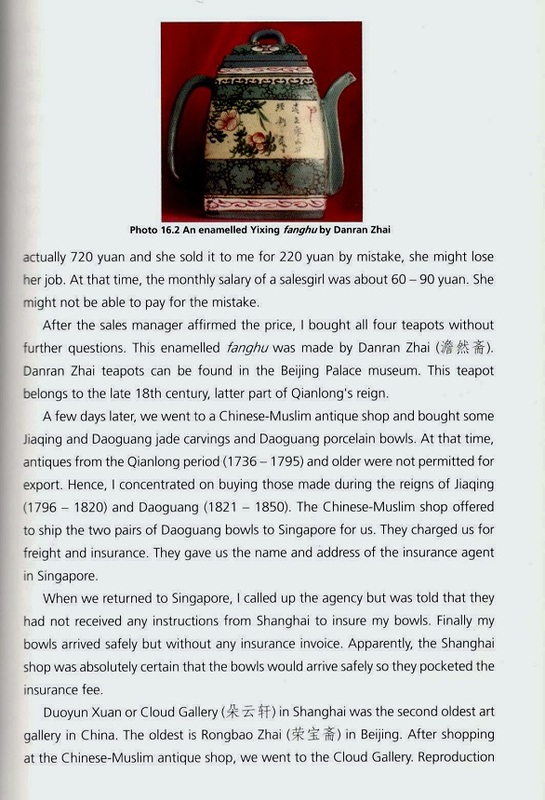 Without Confucius and the Confucian school, the wisdoms recorded in the texts of the Archaic Period would not have survived through the generations and a part of Chinese history would certainly have been lost to history. Even before the Pre-Qin period the Six Classics had already established themselves as the classics of Chinese culture, but this status was achieved spontaneously, with no conscious effort from the state or individuals to protect them. Only the Confucian school, under a natural sense of obligation, continued their teaching and learning. 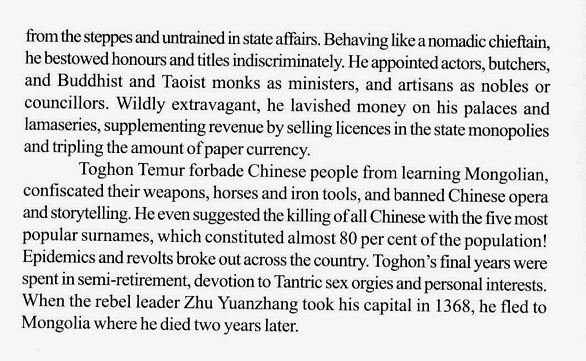 It wasn’t until the Han Dynasty that this natural sense of obligation was picked up by the state. 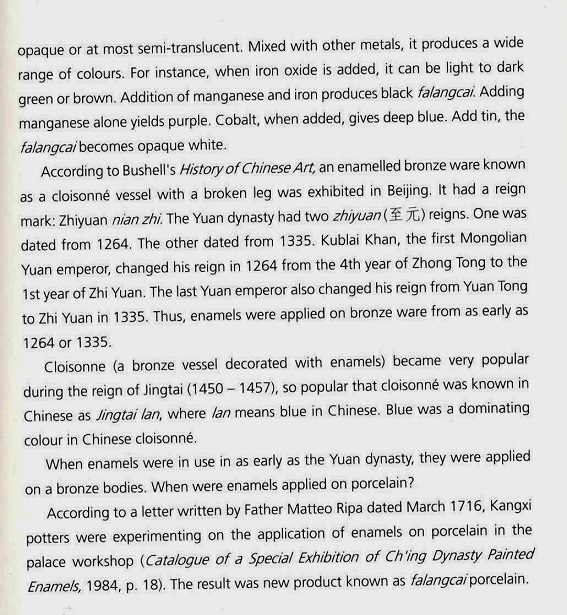 Emperor Wu of Han was a patron of the study of the Five Classics (the Book of Music had been lost following Qin Shihuang’s burning of books and buryin alive of scholars) and appointed scholars studying them, which proved to be an important initiative. 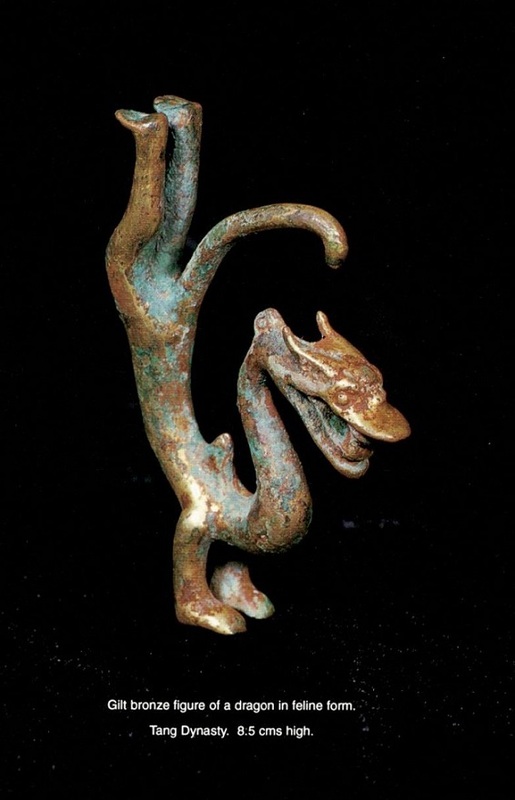 Then onwards until the Tang Dynasty, Jīng Xué ‘Classical Studies’ became a major systematic discipline in China with the Five Classics at the core of the system. On the basis of what has been described, we can come to a conclusion that Confucianism represents mainstream Chinese culture and was in a dominant position for a long time. Confucianism, or rather Confucian culture, represented by the Five Classics and the Four Books (especially the latter) has established the core values of Chinese culture and extended a deep influence over the Chinese civilization. 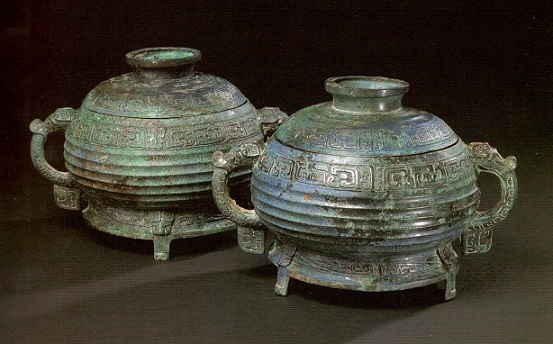 It played a significant role in preserving and developing tradition and culture in Chinese history. In China, religions such as Buddhism and Taoism have also made similar contributions, but not on the same scale as Confucianism. Confucianism has played a vital role in shaping the ideology of the Chinese nation and its culture, and Confucius has largely become a spiritual leader of the Chinese civilization. 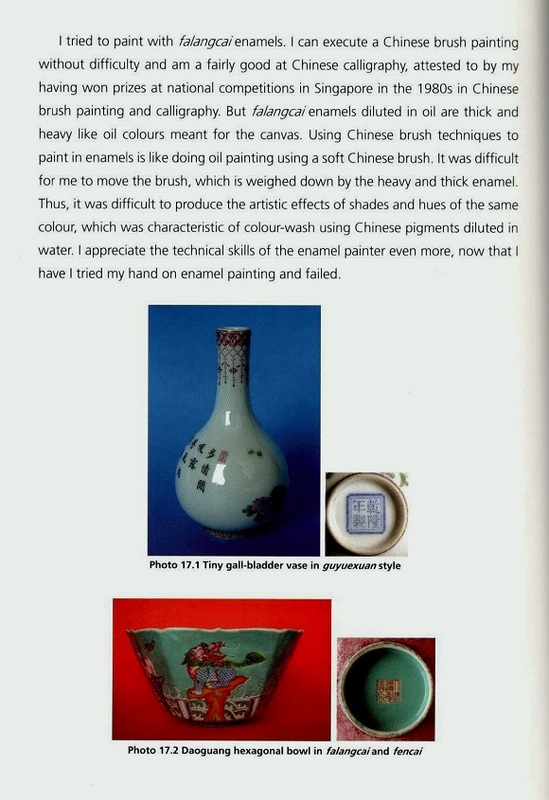 Published in Confucius Institute Magazine Number 35. Volume VI. November 2014. 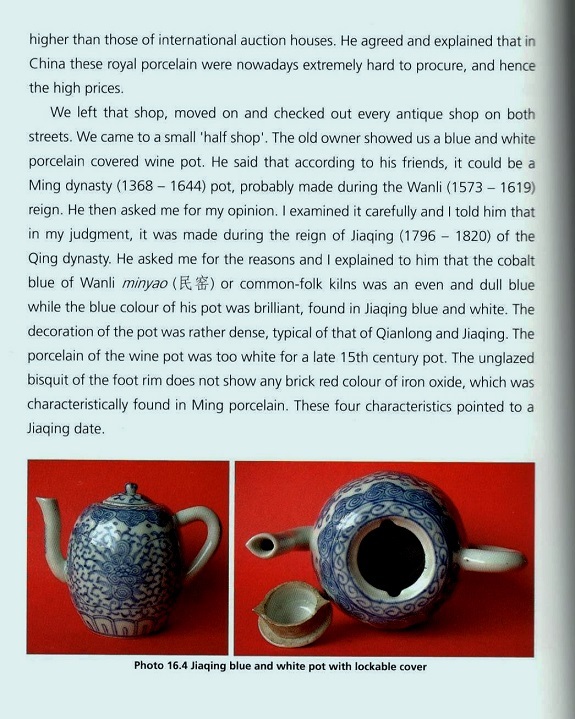 Published in Confucius Institute Magazine Number 4. Volume IV. September 2009. 1. 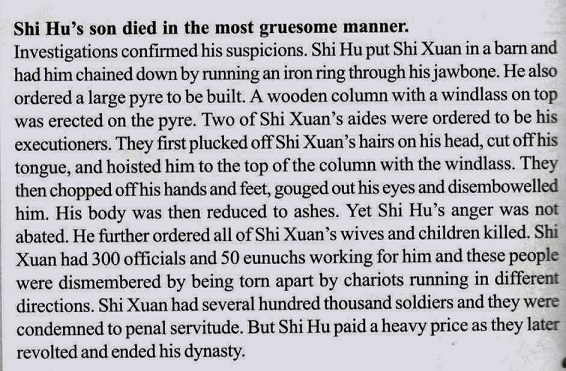 Shi Hu was notorious for his tyranny. 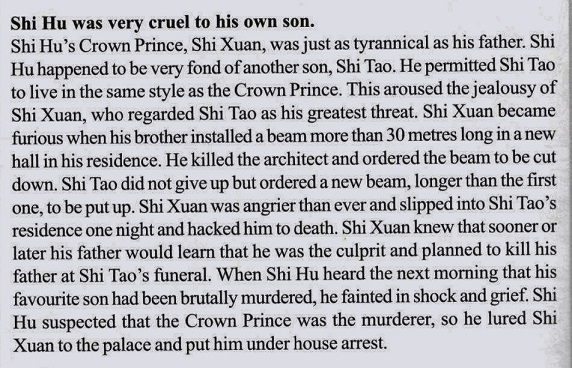 Did his cruelty extend to his own son? 2. 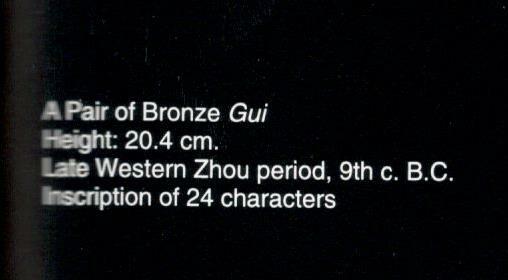 It is said Shi Hu's son died in the most gruesome death. How did he die? 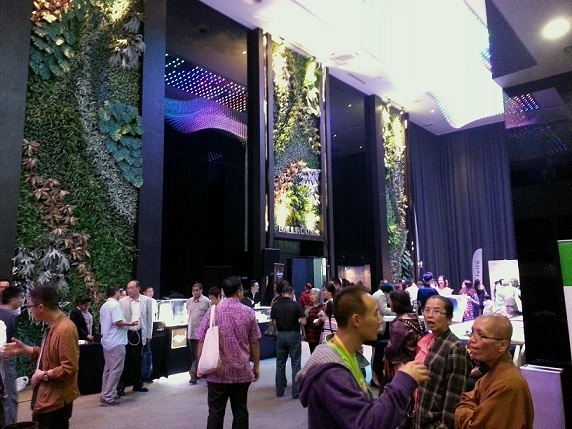 * We'll be at LG floor on Saturdays and 1st floor on Sundays. For further inquiries, please contact May at 018 3867939.